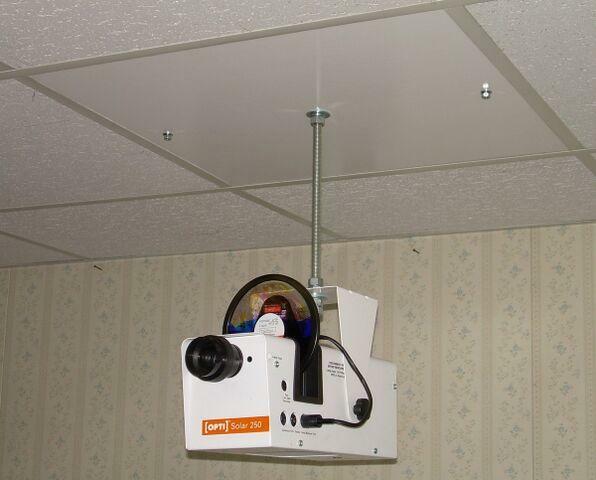 Attach your projector securely to the ceiling with this ceiling bracket. This 24" square ceiling tile slips snugly into the existing drop ceiling for a clean look and extra piece of mind. Price includes the ceiling tile and bracket only.